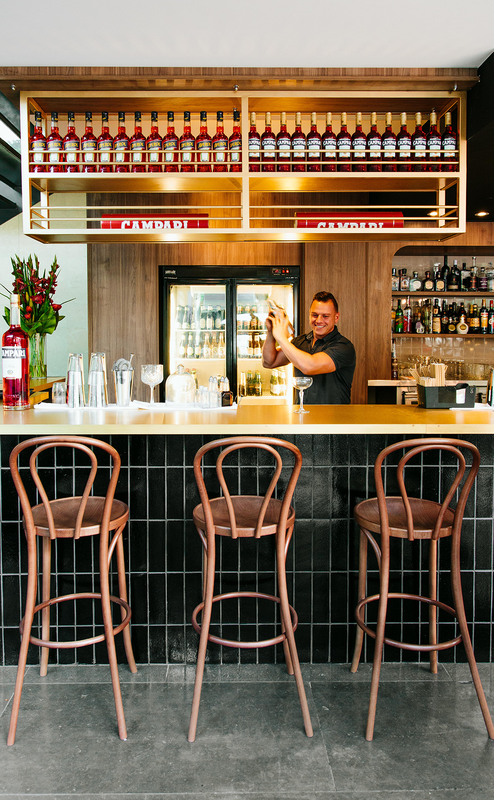 The Sydney-born Italian restaurant group that went from one warehouse location in Rosebery (long before it was cool) to now having 10 locations across Sydney and SEQ has today opened another landmark venue—this time in the heart of South Brisbane. Co-owners Edoardo Perlo and Stefano de Blasi have, for the first time, opened a joint venture with Mantra, having just opened inside the famous hotel along Grey Street. The impressive-looking 130-seater restaurant is a lesson in elegant décor; floor-to-ceiling windows, dining booths in sage green leather and light oak line the edge of the restaurant, creating a feeling of openness, a light and airy double-vaulted dining space that spills out onto the pavement—it’s all very European-esque and a very grown up space for the burgeoning south. The menu, similar to their Newstead venue, will be serving up breakfast, lunch and dinner, focussing on the rustic, Italian-style dishes the brand is known for; crab tagliolini, with blue swimmer crab with zucchini and chilli, pumpkin risotto with pistachios, goat’s cheese, parmigiana, marjoram, and stuffed lamb neck with garlic and herbs, cannellini beans and salsa verde. In addition, SMC will also be serving up their classic rosso and bianche woodfired pizzas. 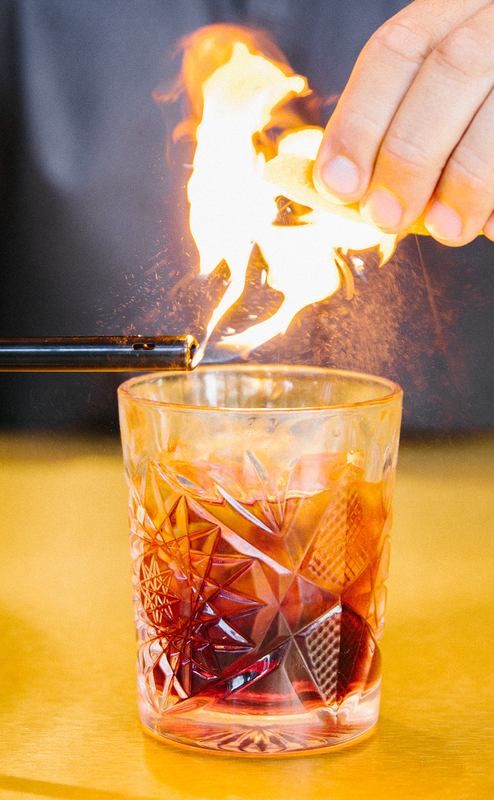 Adjacent to the restaurant is the bar area, where a menu of antipasti and smaller share plates compliment a succinct range of cocktails especially created for the South Brisbane location. The low lighting and dropped ceiling make this the perfect spot for evening drinks and a bite to eat. 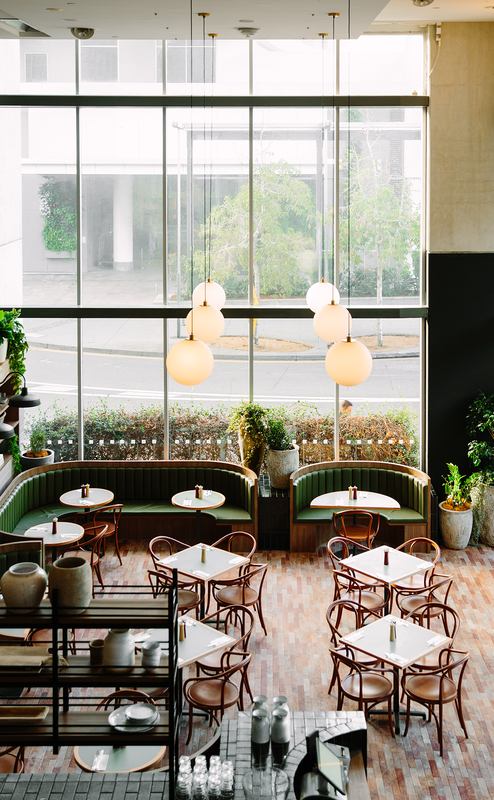 South Brisbane has welcomed some very famous names and some fresh faces to the area over the past six months, including Emporium Boutique Hotel, Maeve Wine Bar, and the extension of Fish Lane, to name but a small few. Ensuring the continued development of South Brisbane’s ever-growing diversification is key to drive tourism, of course, but investing in the area also ensures it is a place for locals to utilise and enjoy. And for that, we’re pretty damn pleased. Salt Meats Cheese South Brisbane is open Monday-Sunday for breakfast, lunch and dinner.